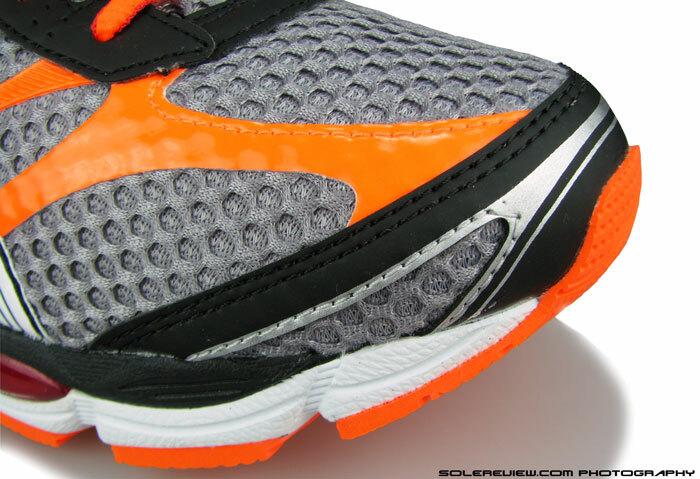 Upper: Spacer mesh, synthetic overlays, welds. Midsole: Dual layer EVA, TPU midfoot shank, front and rear Gel cushioning pads. Widths available: D-standard (reviewed), 2E-wide, 4E-extra wide. Width options in select colors only. It's got a sorted, well cushioned ride which behaves better than the Nimbus. The upper fit and feel doesn't have much to complain about, but the material package is far from impressive. The Cumulus is to Nimbus what the Nike Pegasus is to Vomero and the Brooks Ghost to Glycerin. These familiar sounding pairings represent two levels of neutral running offering across different price points; the more expensive version intended to be generally plusher and with a richer feature-set than its lower priced counterpart. Do brands succeed in maintaining a noticeable separation in features? Sometimes they do, and there are times when things get a bit hazy. In that context, how does the Nimbus and Cumulus fare? The shoes have a price chasm of $35, which is substantial. So what does the Nimbus have which Cumulus doesn’t? Functionally speaking, there isn’t really much which could justify that difference in retail price. Which is saying that both shoes are well cushioned, with overall deliverables equally matched from a real world usage perspective. But the shoe names have to count for something, don’t they? After all, moisture laden Nimbus clouds sit higher than puffy Cumulus clouds in the natural order of things. So dig deeper, and few elements of differentiation comes into focus. As we review more Asics running shoes, it is getting increasingly plain that you get a high level of finish and plushness only when you buy their most expensive models. Move to a lower price segment, and premium-ness of fit and feel deteriorates rapidly. This is where the Nimbus 16 trumps the identically suffixed Cumulus. The material and overall aesthetics on the Nimbus appear leagues better than the $115 model, and that translates to a ‘this-is-what-I’ve-paid-extra-for’ feel when you slip into them. The Nimbus 16 has a higher volume of Gel, so the heel area results in a softer ‘feel’ than the Cumulus. The Cumulus has lateral Gel pads, which are slimmer in profile. Overall compression properties of the Gel and foam match equally, creating a neutral ride. We felt that the foam was softer than the one used in Nimbus 16. However, there are a few areas where the Cumulus actually manages to outdo the pricier model. The ‘neutrality’ of Cumulus is greater than the Nimbus, which makes the former stay truer to its functional goal. Let us explain. Neutral shoes are not supposed to have elements which result in pronation control. The Nimbus, with its generous use of Gel pads on lateral heel, comes across as a shoe which affects foot-strike behavior – more than it should. 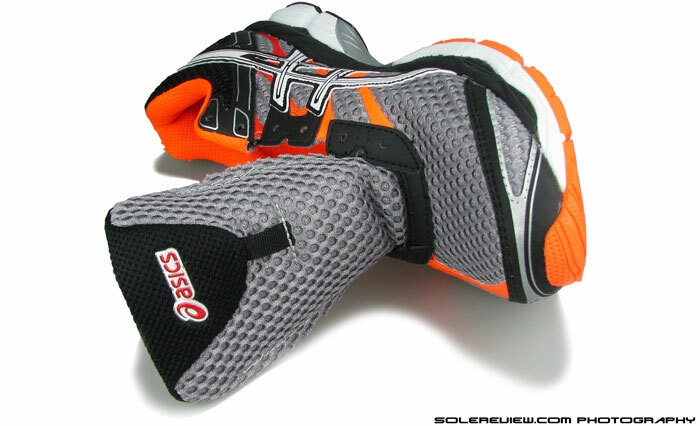 The softer Gel pads cause an outward biased lean, typical of shoes like the Kayano. On the other hand, Cumulus does no such thing. Its Gel pads are smaller and slimmer in comparison, and the medial foam – believe it or not – is softer than the one used in Nimbus 16. This difference in construction balances material densities on both sides, resulting in a rear-foot strike which is neutral, more so than the Nimbus 16. Forefoot is sufficiently padded, and guess what, it’s more flexible than the Nimbus 16. There’s a tacky looking ‘Fluidride’ text above the shank. Cumulus 15 had an insert which said ‘IGS’, and that one was reflective. Combination of welds, spacer mesh and synthetic leather. Standard Asics menu. The Cumulus 16 is more flexible in the forefoot than the Nimbus 16, and marginally lighter in weight too. We see these three factors as upsides over the Nimbus, something which will swing a lot of otherwise (potential) Nimbus buyers in Cumulus’s favor. When compared to last year’s Cumulus 15, there is nothing new to report, with overbearing design similarities and material carry overs passed on to the 16th edition. In the Cumulus 15, there was this small reflective bit above the plastic shank. It said ‘IGS’ then, and 2014 sees that text changing to ‘Fluidride’. This implies no additional benefit other than one Asics marketing jargon replacing another. Most things fit and feel 90% the same in last year’s context. The Cumulus 16 continues in the Asics tradition of snail pace evolution, and we won’t bash that aspect (much) in this review. They’ve had enough of tongue lashing for a month, and we don’t want to sound like a broken record either. Sockliner is same as what’s in the Nimbus 16. Memory foam-esque, and squishy. 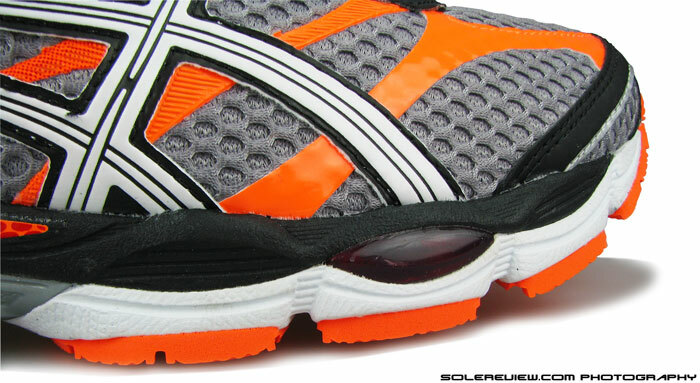 This view is common across a lot of Asics models – a EVA strobel below the removable sockliner. As far as the ride is concerned, the Cumulus is quite sorted. The Gel+foam cushioning strikes a fine balance between softness and stability, allowing rear-foot strike to move progressively without inducing gait correction. As we pointed out, the densities are evenly matched on lateral and medial sides, removing the element of foot strike bias – something which we observed in the Nimbus 16. The damping comes across as being centered in the heel, and then transitioning smoothly over to the forefoot, helped by the air foam footbed and the EVA (Ethylene Vinyl Acetate) strobel just below it. 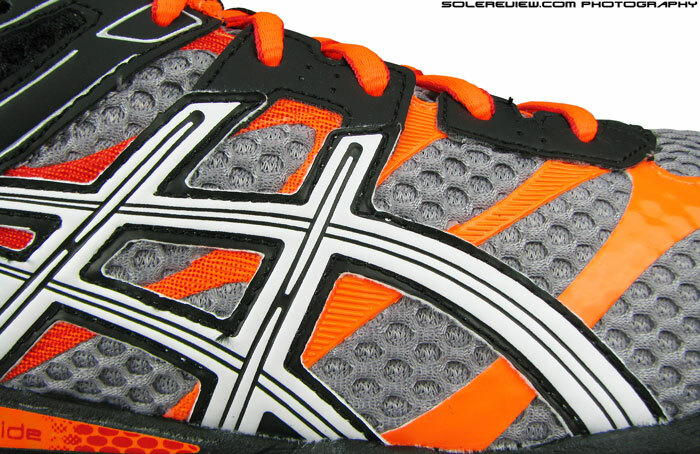 Asics calls it ‘SP45’ foam. Forefoot is well padded; it’s got Gel pads between two layers of midsole foam, and then blown rubber serving as the outsole. Signature Asics geometry makes an appearance on Cumulus too. Flexible forefoot has blown rubber which is soft, and also grip tenaciously on roads. Carbon rubber on heel midsole pods, and a groove separated crash pad. Centered cushioning also makes the Cumulus stable in heel, an area where it scores over the Nimbus. Forefoot has a solid plant, with wide flare and great grip coming from blown rubber underneath. Rear outsole has a familiar geometry of hard carbon rubber topped EVA pods, complete with a crash pad which acts independently due to deep grooves all around. In addition to the Gel pads and midsole foam, the crash pad also adds to cushioning feel during heel strikes – by temporarily flexing outwards during landing. Forefoot flexibility is high for this category, and as we highlighted earlier, better than the Nimbus or Kayano. 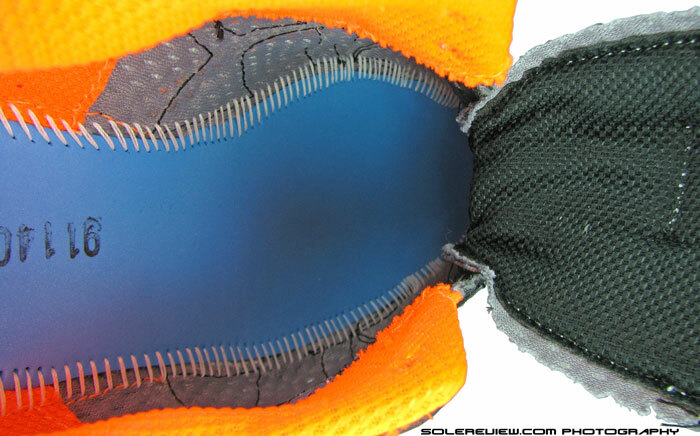 Forefoot is unburdened by structural overlays for the most part, except for the toe bumper and this band of fuse-stitched overlay. 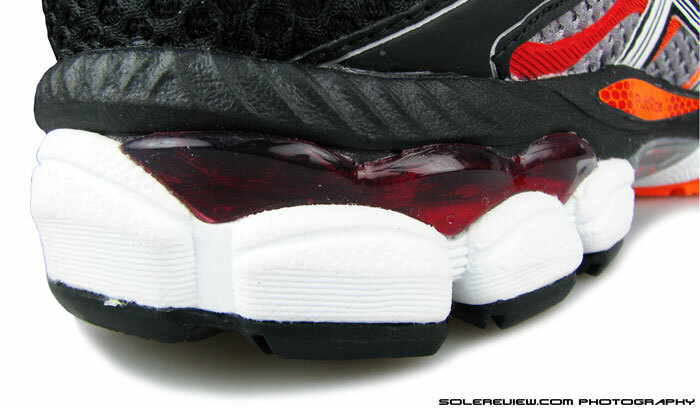 The synthetic leather ‘bridge’ which runs over the lateral toe-box. It is technically no-sew, but there’s a stitch-line just in case. Upper is a spacer mesh/weld/synthetic leather medley, no different from what you’ve seen or experienced on past Cumulus versions and the like. Toe box is made using an air-mesh which is free standing except for a single ‘bridge’ made of synthetic leather. It’s a no-sew overlay but has a reinforced stitch running across, with the obvious intent of keeping that piece from peeling off over time. 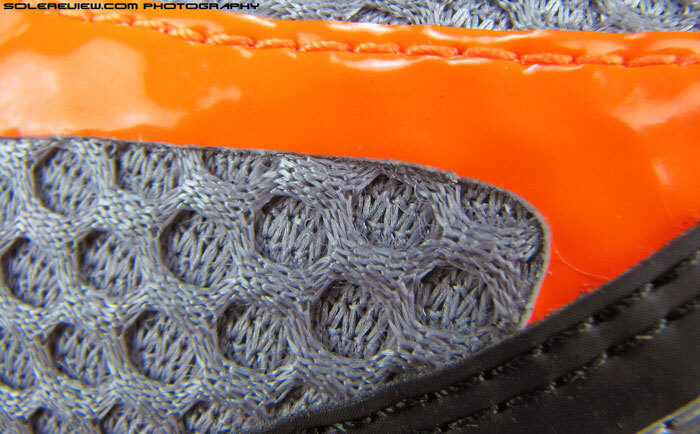 Lacing is exactly the same as the 15; pieces of stitched-on synthetic with punched eyeholes to let the laces pass through. Speaking of laces, they are short, and there isn’t much of it left at the end. Would have been helpful for them to be a little longer. Air is served through these mesh vents. 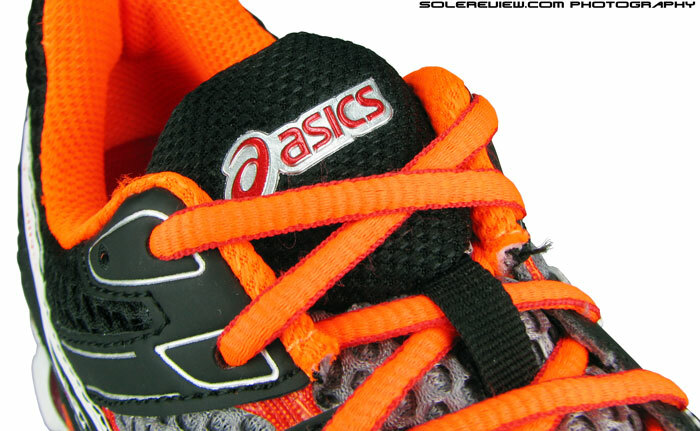 The spacer mesh isn’t an open structure type, and while the shoe doesn’t run breezy, it isn’t stuffy either. 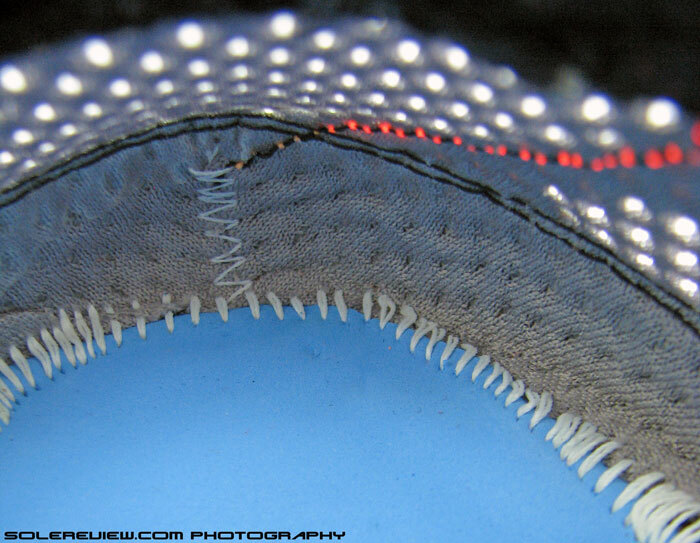 Even with the overlays stitched and welded-on, the mesh lets the air in and out. Tongue is a free agent, and slide prone. Tongue is traditional, by which we refer to its un-sleeved construction. As expected of such a design, tongue ends up moving a bit to one side after a few miles. Not completely, but it does shift a few millimeters to one side. The Cumulus 16 runs true to size heel to toe, and does so without jamming the toe forward. The fit is snug in most places, starting from the forefoot, which is shallow and snugger on the lateral side than it is on medial. The lateral side has the synthetic band going over the small toes and extending downwards, which makes that area slimmer and hence snugger. The medial side is relatively open, with mostly mesh as a barrier. The ease of fit on the inner side also applies to midfoot, where it is more relaxed when compared to the form-fitting (outer) side. With that, arch support isn’t impressive from an upper standpoint, and that isn’t helped by the midsole, where there’s no supportive flare. Internal stiffener molding is narrow, making the heel fit snug. Achilles dip is not hard, but isn’t very soft either. 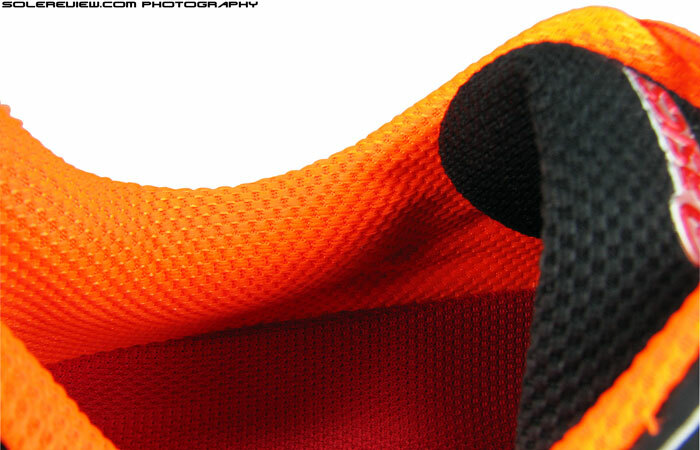 The medial collar in particular is filled plumply with foam, increasing snugness levels. Collar is snug because the hard internal heel stiffener is molded narrow, when say compared to a Nimbus. 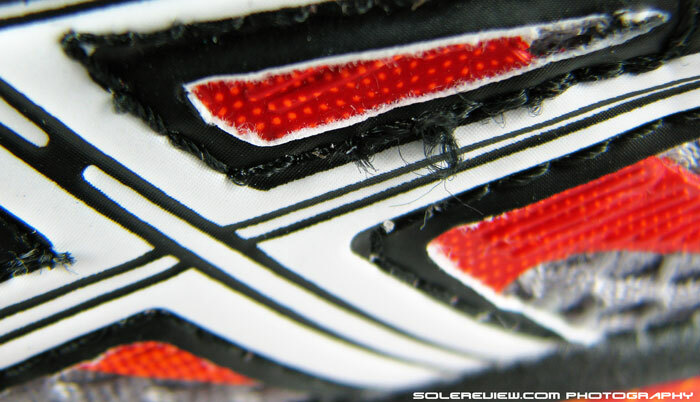 This reduces the space between the collar walls, which closes in on the foot with a higher level of grip. The lining on either sides has decent foam padding too. Some runners will welcome this kind of snugness, while others might find it a bit overbearing. The Achilles dip is not hard by any standard, but lacks a soft feel. The material package on the Cumulus is average for a $115 shoe. 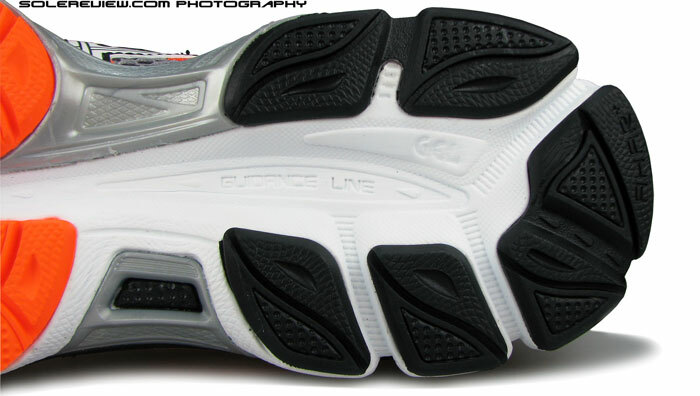 Parts of the shoe, like the tongue and collar lining, are straight lifts from the $100 GT 1000-2. They aren’t bad; it is just that they don’t feel very premium. There’s a certain coarseness, for lack of the right word. It’s all fine when you’re looking inwards and vertically within the Asics construct; after all, a $150 shoe and a $115 variant have to be sufficiently differentiated by way of materials, right? That holds water to some extent, but bring in some of the new kids of the block and the contrast becomes apparent. 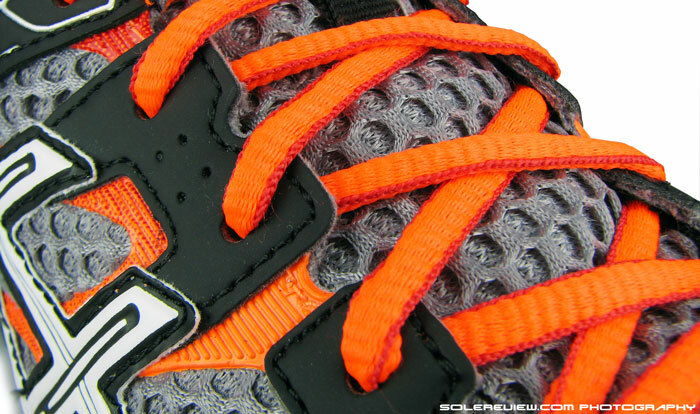 The Brooks Ghost 7 has its shortcomings, but look at its materials, they’re top notch. Ditto for the Saucony Ride 7 and the Pegasus 31, all of which feels better to wear than the Cumulus. Glue marks here and there. 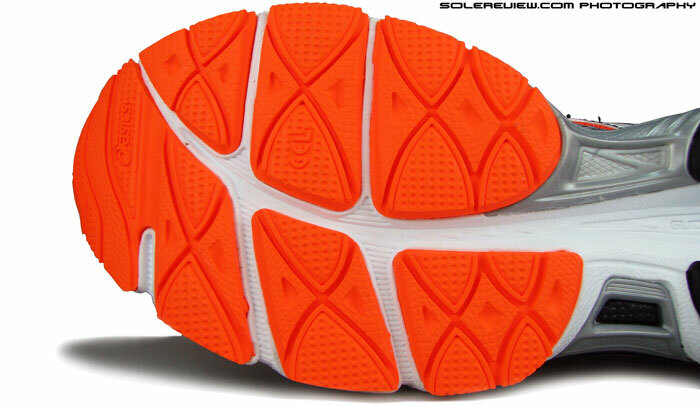 Misaligned attachment of heel outsole rubber with midsole. Major manufacturing oversight. The Cumulus has only one area of reflectivity, and that’s on the heel. The stitch-work needs some improvement, and the die-cut shapes on the upper aren’t clean. It’s not only the materials, but the manufacturing execution also comes across as mediocre. 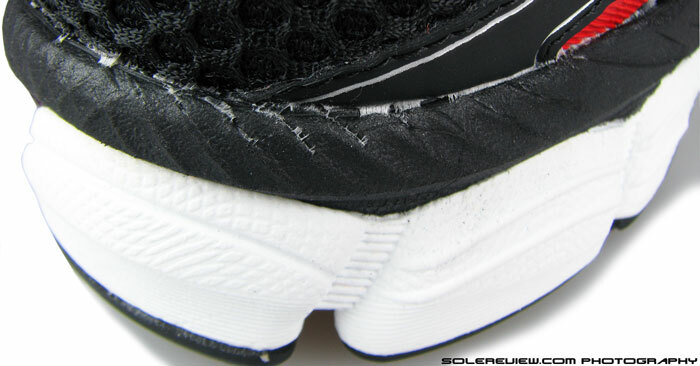 Glue marks are seen on different areas of the shoe (refer to picture), and there are signs of imperfections like misaligned midsole and outsole rubber bonding, and embossing shifts. 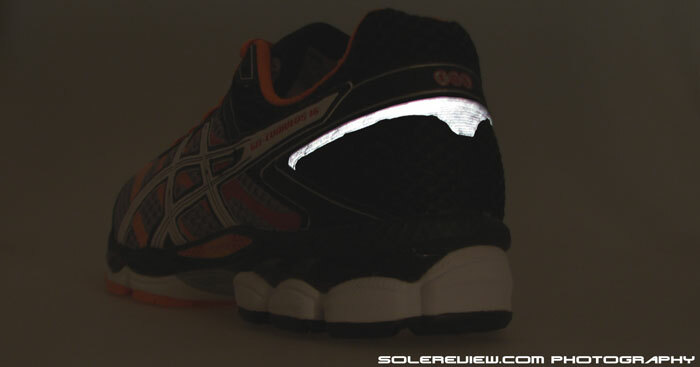 The reflective strip on heel works well functionally, but look closer and the fused edge has this waviness. And while at it, throw in some shoddy levels of stitching, with loose yarns sprouting out of the upper. The shoe is also heavy. It is lighter than the Nimbus at 345 gms, but pit it against the Ride 7 (292 gms), Pegasus (323 gms) and Ghost 7 (310 gms) and suddenly it becomes the odd one out. There used to be a time when 350 grams was the category median for these kind of running shoes, but those days are quickly coming to an end. 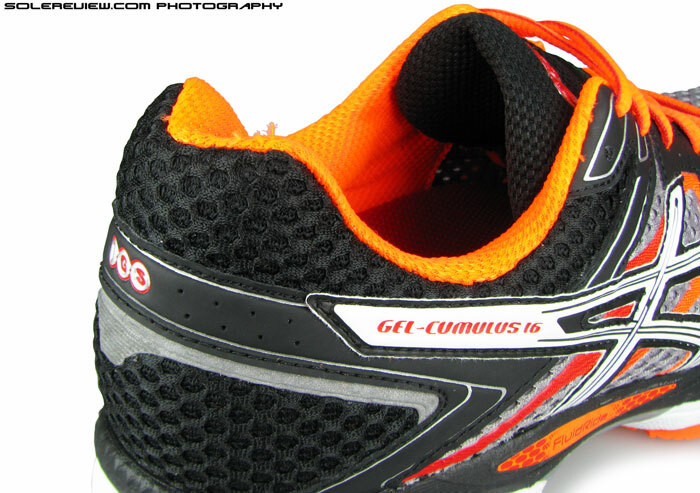 Functionally, the $115 Gel Cumulus is a running shoe with little issues. It’s got a ride which balances cushioning with stability and the upper also passes muster, at least structurally Our rating system, which is based purely on function and filters subjectivity, awards the Cumulus a healthy 8.3/10. It is just that the shoe is plagued with design inertia, something which a lot of Asics models seem to be afflicted by. The Cumulus has old school, traditional shoe elements which will appeal to loyalists who don’t want to see much change. But when released into the modern day jungle which is the running footwear market, it struggles hard to make a strong case for itself. And as shoe reviewers, when we have to repeat buzzwords like ‘Guidance line’, ‘familiar geometry’, ‘IGS’ and ’spacer mesh’ over and over again no matter what Asics shoe or calendar year it is, the future looks like a bleak place to be, overcast with rain laden Nimbus clouds. Note on ratings: Our numeric scoring of 8.3/10 is based on a total of weighted averages. The attributes namely transition, stability and fit contribute to 69% of total scoring weight, which we see as more important than material (7%), cushioning (7%), traction (12%) and weight (5%). Hence the scores will not add up when simple average calculation is used. Surprised to see the Cumulus 16 having better overall cushioning. Gotta try it out! I like this color though. Don’t get confused by the overall cushioning score, since 4-5 sub-attributes are weaved into that number. We also give scores to stability within cushioning, in which the Cumulus scores higher. The Nimbus will ‘feel’ more cushioned, but the Cumulus has a better quality of cushioning – which means it delivers it better while not necessarily being softer. Thank you for the feedback. While the Cumulus 16 hasn’t changed in length over the 15, it is possible that you feel that because of the narrow counter molding of Cumulus 16. That tends to push the foot forward. It’s possible, comparing the shoes side by side the’re the same lenght, even the insole is the same, but there is a visible narrower forefoot. In fact my Noene insoles, that fit the Cumulus 15, have a snugger fit on the 16. Fit aside, the 16 feels to me a litter softer and cushioned that the 15. If you can find the right fit it’s maybe the last shoe that has not diminished his cushioning. Could be the reason too. Agree on the quality of cushioning, and we have rated it high. Would you be able to tell me how these compare with the DS Trainer 19? Thanks & regards, PM. We haven’t tried the DST 19, so won’t be able to help here! Sorry about that. Is the cushioning better than Ride 7? Saucony cushioning feels softer and a little more spread out. I have a high arc and under pronate. I am in search for a good shoe for running/ training for marathons. Is Cumulus 16 a good shoe or would you recommend others? I currently run in Pegasus 30. Will appreciate your thoughts. Cumulus isn’t a bad choice. At the same time, you could try shoes like the Pegasus 31 and adidas Energy Boost 2 ESM, considering that your current shoe is the Peg 30. I bought Cumulus 16 and took it for a 2.5 mile first run. The shoe doesn’t feel as comfortable as my old Pegasus. Maybe it will take some time to break in. After running about 30 kms, the shoe feels excellent. It’s heavy, but not a deal breaker. 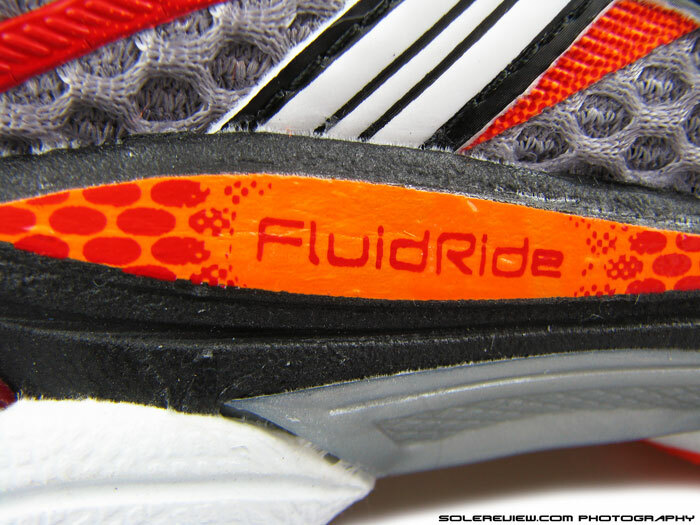 What do you have to stay about Saucony Ride 7 for my needs (as a swap shoe for Cumulus)? Is a good shoe, but not as centered as Cumulus. Has a bit of a lateral heel lean. The Ride 7 is much more lighter and breathable, so a better marathon training shoe if you can adjust to its slightly un-neutral ride. Where did you get your pronation determined? They do arch test just fine (in Bangalore at least) but no gait analysis. Any place you recommend for that (jic you are from Bangalore). And yeah I am high arch and my shoe tend to wear out more on the outside around the right back of my right heel (left back of left heel of course) and then outside (i.e. lower outer quadrants of my feet). I am looking for shoes that give excellent cushioning. I get that there are Cumulus and Nimbus in Asics. Any other brand shoes that offer extremely good neutral cushioning? Would you recommend these for excessive supination? If not what do you think would be best for me? Went with nimbus 16. They will arrive today and I hope they work for me. Amazon same day delivery. So the nimbus hurts the mid foot area of my right foot. Feels as there is a bump across the site on this area. Left so is perfect..
Can you post a picture of the shoe, side to side? We mean, show the medial midfoot of both left and right together for comparison? Sorry we could not reply any sooner! I wear last years Cumulus. Walk approx 5 miles per day. Wear custom orthotics (after removing the shoe liner)for flat feet. Suggestions for shoes as I go through 4 pairs per year. 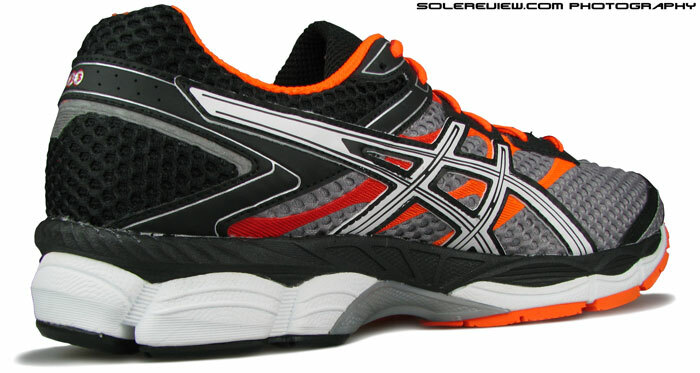 If the Asics fit and feel is working for you, we suggest you buy the Cumulus 16 or Nimbus 6.
than this version? I mean, other than the upper. Thank you. Haven’t tried the GTX version, so can’t say with certainty. But we assume that the waterproof upper will also lead to a slightly tighter fit. Hi, I’m a 6 foot 165 lb guy, I’m also a supinator for sure, probably a midfoot/forefoot striker and have a very high arch. I usually run 2-3 times a week, 9 km each run (is it a long run?) with an avg pace of 5m 40s per km. I used to run (over 650 km) in my Cumulus 15 and never had big issues, but now I’m finding it hard to adapt to the Cumulus 16, so what changed that much? Could it just be the fimer forefoot? I’m experiencing internal knee bursitis after runs even after over a month off. Should I simply go with something more cushioned? I’m considering buying Nimbus 17, Glycerin 12, Triumph ISO. Which would be my best choice among these? Also open to other suggestions. Thanks in advance. Can’t say why the Cumulus 16 isn’t working out for you. Would not recommend the Nimbus 17, as the shoe is far softer than the Cumulus. You should try the Nike Zoom Vomero 10 (we just put up the review yesterday), along with the Brooks Glycerin 12/13, Triumph ISO and the Saucony Ride. Tried the Ride 7, liked it but wasn’t really that impressed. Would have kept it, but it had a defect so I returned it. Just ordered one of these, so I’ll post the difference maybe afterwards. I’ve used Asics the past decade+, and I generally like how they run and have found them to be great running shoes. I actually think I prefer their bulkier builds and familiar fit for the surfaces I primarily run on (sidewalk, road, some track). I tried on the Nimbus 17, which was extremely cushioned but generally I do not buy the newest models and decided against it at the price point. Right now Amazon has the Cumulus 16s at right around $70. The Ride 7s are around that price point too. The Ride 7 did seem a little faster than the Asics, but I generally am not racing so it doesn’t matter much to me either. Maybe next year I’ll look for the Nimbus 17 at a lower price point. All the cushioning does have my intrigued, I am getting older after all. The Cumulus for $70 is a good deal. Changes are also afoot at Asics, and the Cumlus 17 is proof of that – changed ride, and different upper design which minimises synthetic leather. So if you like running shoes made the old skool way (traditional builds), then perhaps the next couple of years is a good time to buy some of the older models for a rainy day. Just got these in today. 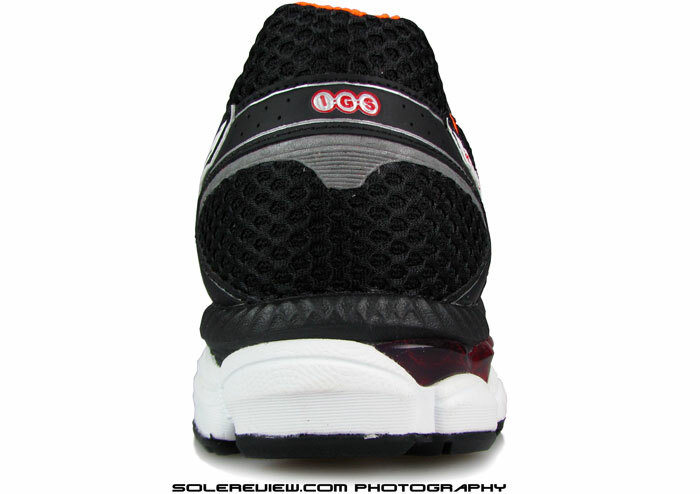 You can really feel the gel on the sides of the shoe, especially the first 2 miles or so. Then it starts to settle in a bit, I guess becomes more “compressed” or less noticeable. I’ve read cushioning drops pretty quickly to either 80% or 60% then kind of stays that way until around mile 500 or so. Not sure if it’s dropped that much yet, I’d doubt it, but Asics have always been good to me to 500 and beyond if I really want to push it. I have to say I really do like the Asics formula, even though you kind of trashed them for not making major changes and not going the minimalist route, I like how they run and how they fit and don’t want a change. I’ll probably keep buying this build for as long as I can if the changes are drastic. Asics philosophy is usually not to chance too much though. For a race I’d probably take one of the minimalist builds, Saucony’s Ride 7 is a fast shoe and does give some advantages. But for the long haul and for most of my runs, Asics and specifically Cumulus 16 are probably best. Yes, functionally not worth double the price, if you’re getting the C-16 for $70. It is a better, all-round shoe vs. the Nimbus, and we’d pick the Cumulus any given day. I had the Asics Gel Cumulus 15s and loved ’em. Ran a marathon in ’em. Now they’re shot and no longer available. The Gel Cumulus 17s come up higher in the collar and rub my ankle bone to the point of blisters! Why would they change the height of the collar?! Any advice for a similar fit/ride to the Cumulus with a lower collar than the 17? The reason why the Cumulus 17’s heel comes across as higher because the midsole heel is softer, and hence there’s more ’sink’ every time you load weight. We take it that you are a rearfoot striker? The Cumulus 16 should still be available, and worth a try. If that is not an option, you should try the adidas Glide 7 Boost, or if you need something more cushioned, the Nike Vomero 10. The Glide 7’s heel is shallower than the Nike Vomero and Cumulus 17, but the upper runs slightly narrower and half size smaller (for men’s models). I had the cumulus 15, changed to excel 33 for a more minimalist run. Had my gait analysed today in my excel and found that I pronate horribly, more so on my left foot than right. I have a normal to high arch. The guy said I should go for the gt 2000. Spoke to someone else in an asics shop who said I should go back to the cumulus. My concern with the support shoe is that it may be too structured. My concern with the cumulus is that my pace will slow down (it increases from cumulus to excel) any thoughts? The GT 2000 isn’t very structured, not at all, but you won’t necessarily feel faster than on the Cumulus. Another choice would be the New Balance 1500 V1 – it is a great shoe for fast, and the feel isn’t entirely minimal. There is enough padding underneath. Any intention of reviewing the Cumulus 17?